Looking for the best treadmill under 500? 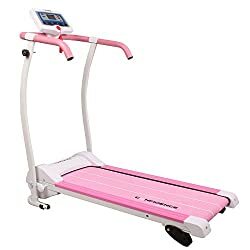 Our detailed review below will help you choose the best treadmill money can buy under 500 dollars budget range. So, stay with us and check our comparison chart as well. Treadmills are a good choice for anyone that wants to lose weight or keep in shape. Typically, the best treadmills cost well over $1,000. Not everyone is working with that kind of budget. For those who are looking for the best treadmill under 500, there is some good news and some bad news. For the good news, there are plenty of treadmills available under $500. As for the bad news, don’t expect the same quality, durability and longevity as a treadmill in a higher price range would have. A treadmill manufacturer that engineers a cheaper treadmill uses lower quality materials and trims away features. It just isn’t economical for the manufacturer to make a low-cost treadmill with high-quality materials. They would lose money! Disclaimer*: The star rating above is our own. When a manufacturer engineers a cheap treadmill, shortcuts are taken and the quality suffers. High-end treadmills can weigh over 300 pounds, and its decks are wider and longer. 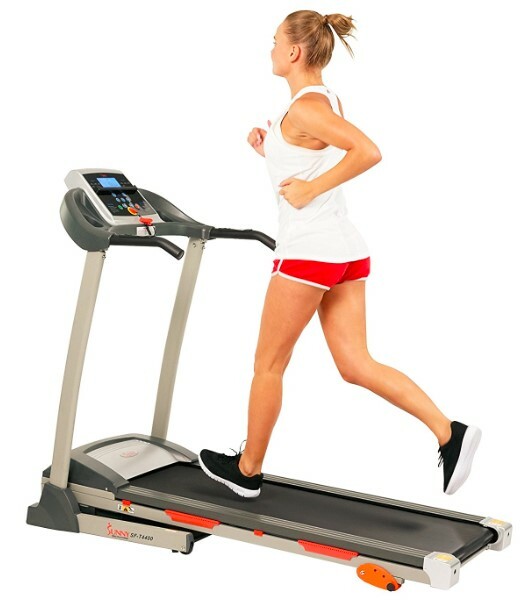 The standard size for a treadmill’s deck is 20″ wide x 55″ long. A cheaper treadmill has a narrower and shorter deck. 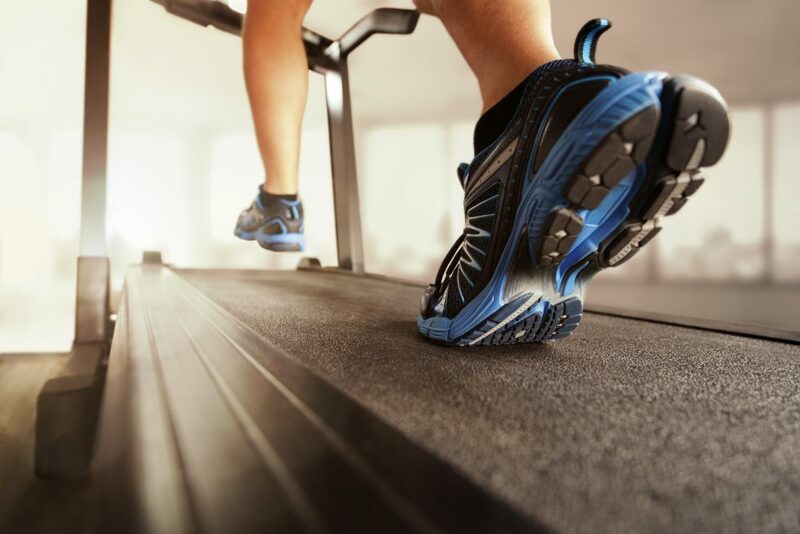 A cushioning system is what makes walking on a treadmill better than walking outdoors. 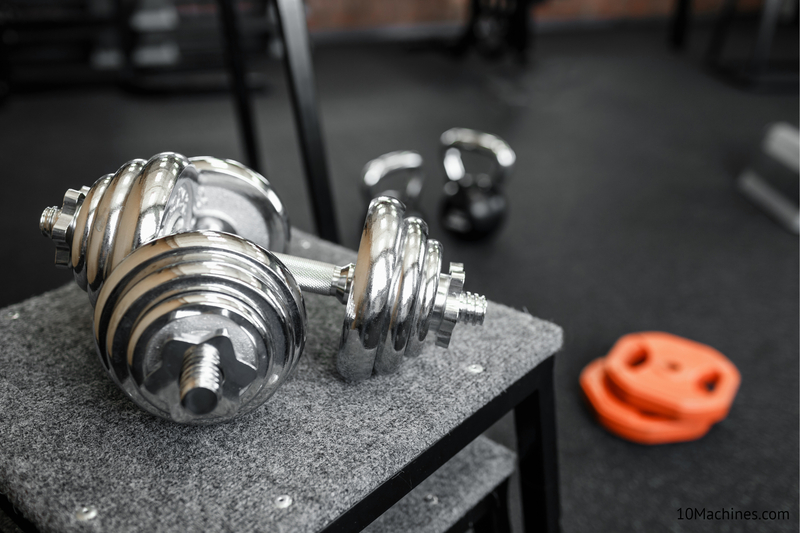 A layer of cushion is usually applied to the decks of high-end treadmills to absorb the impact of walking, jogging and running, which in turn, decreases stress on the lower body. Many low-cost treadmills don’t have this feature. A motor inside a cheap treadmill has a lower horsepower (HP) compared to the motor in a standard treadmill. The standard HP for a treadmill motor for walkers is about 2.5, 3.0 for the joggers and 3.5 for the runners. However, a cheap treadmill may only have a 2.25 HP motor or lower. In addition to being weaker, these motors are low quality, noisier and don’t run as smoothly. 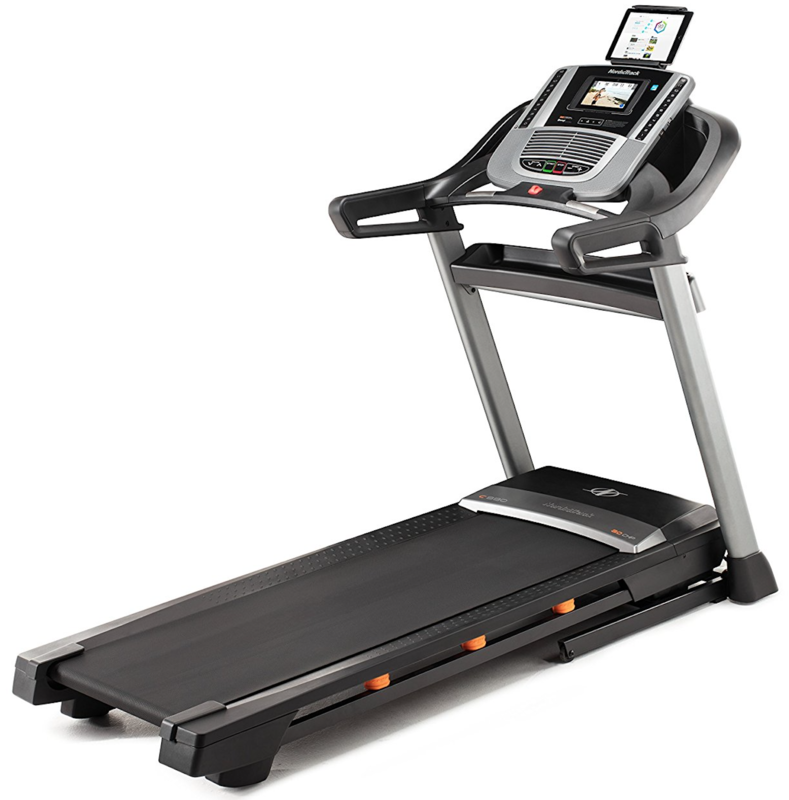 Inexpensive treadmills lack the features and amenities of high-end treadmills. If they do have any of these components, the quality may not be good or provide accurate information. Many inexpensive treadmills won’t have amenities, such as bottle holders, cooling fans, audio system or Bluetooth capabilities. Purchasing a cheaper treadmill is a bit of a gamble because it may only last for a few months. However, here are a review of three of the best treadmills under 500. The Weslo Cadence G 5.9 is our #1 best treadmill. It is a foldable, space-saving treadmill that’s priced well below 500. It has some good features and exercise technologies to help you lose weight or boost your performance. You can walk, jog or run on this treadmill while staying comfortable during each step. 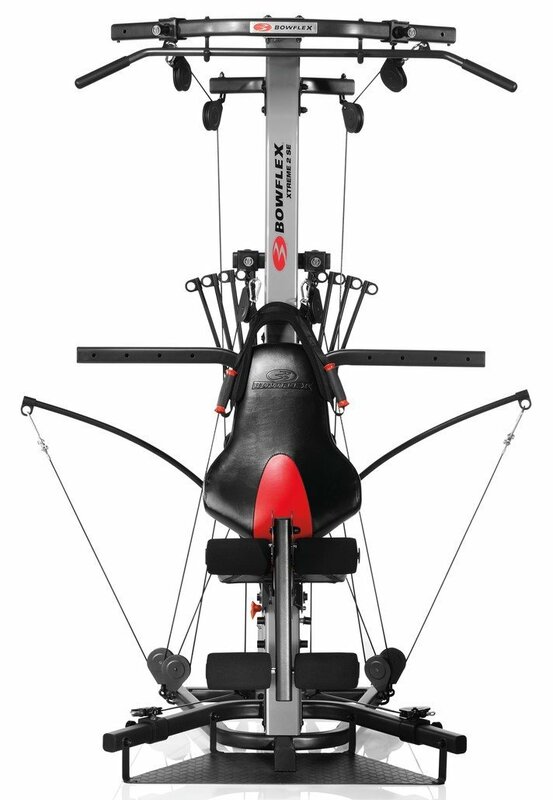 A good thing about the Cadence G 5.9 is that it offers six different pre-set workouts. Each workout was created by certified personal trainers. These workouts will help you burn fat and motivate you. During these workouts, the treadmill boosts your workout performance by automatically adjusting the incline and speed. Speaking of incline, this treadmill features a two-level manual incline feature. Simply adjust the incline before you begin using the treadmill without the pre-set workouts. 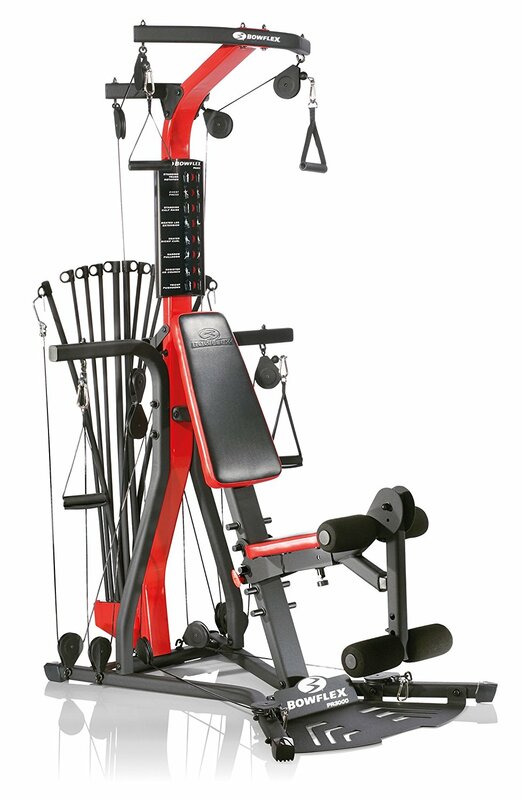 The incline adjusts automatically during the six workout programs. It’s important to monitor your heart rate while you’re exercising to help you achieve your fitness goals. With the Easy Pulse Heart Rate Monitor, you can keep track of your heart rate as you workout. Simply place your thumb on the Easy Pulse Sensor located on the console while in motion and you’ll get an instant heart rate reading. Every time you step aboard the deck of this treadmill, you’ll experience the Comfort Cell Cushioning System. This system provides a cushion layer in the deck that decreases stress on your lower body and joints. You’ll want to go the distance with this thoughtful feature. Finally, you can track your progress throughout every workout with the blue-tinted LCD display. This display will show you time, speed, distance and calories burned. Some customers thought the product quality was subpar. Customer support was bad for a few customers. 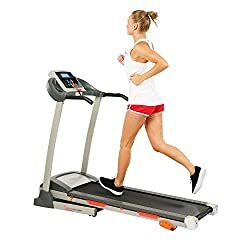 Click here to see the price of the Weslo Cadence G 5.9 Treadmill on Amazon. 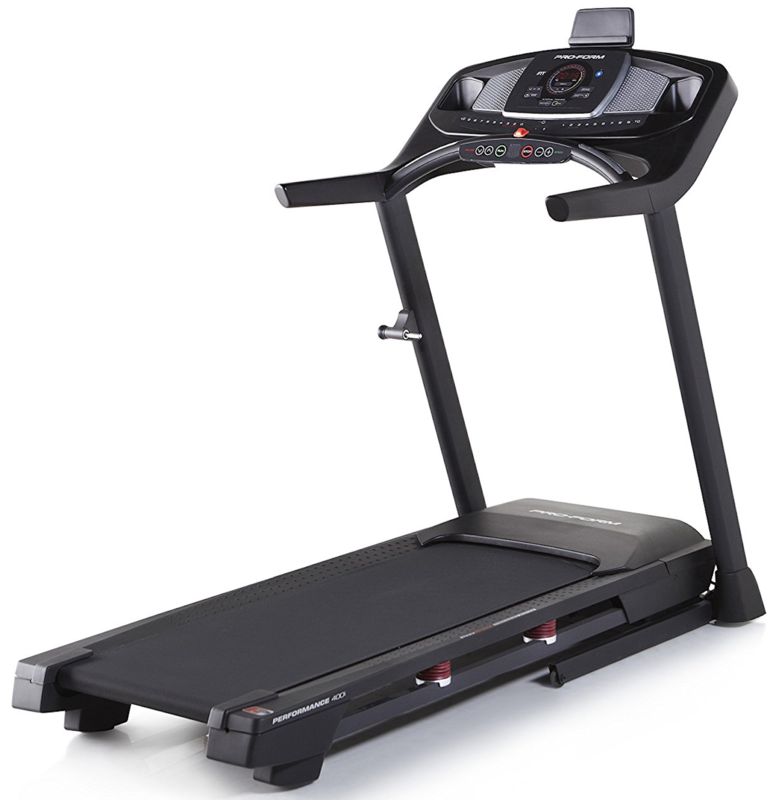 The SF-T4400 is a the runner up among the best treadmill under 500 dollars price range. 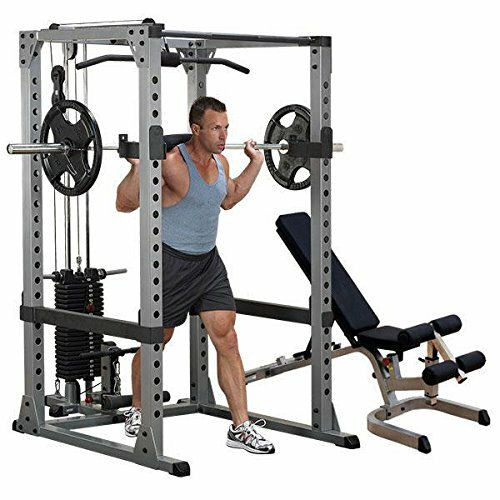 It is good cheap treadmill with a few special amenities typically found on more expensive treadmills. It’s one of the Sunny Health & Fitness company’s best treadmill for home under 500. Getting on a treadmill is a little overwhelming if you’re a beginner because you don’t know how to start and how long to stay on it. There are nine built-in workout programs to get you started. Weighing only 103 lbs., this treadmill can support a weight capacity of up to 220 lbs. There are three quick speed modes if you don’t want to bother with the workout programs. Press the 2 MPH quick speed button if you want to start immediately walking, the 4 MPH button is for jogging and the 6 MPH is for running. The SF-T4400 has a maximum speed of 10 MPH. Intensify your workout by adjusting the incline. The SF-T4400 features a manual incline with three positions: 0%, 2% and 4.37%. However, you will need to lubricate your treadmill before its first use. Your every stride is cushioned with the shock absorption built into the treadmill’s deck. You can exercise longer without feeling the stress you would normally feel in your lower body when walking, jogging or running on a hard surface. You can keep an eye on your progress by viewing the LCD Display Console that’s easy to understand. On the display, you’ll see your speed, time, distance, pulse rate and calories burned. 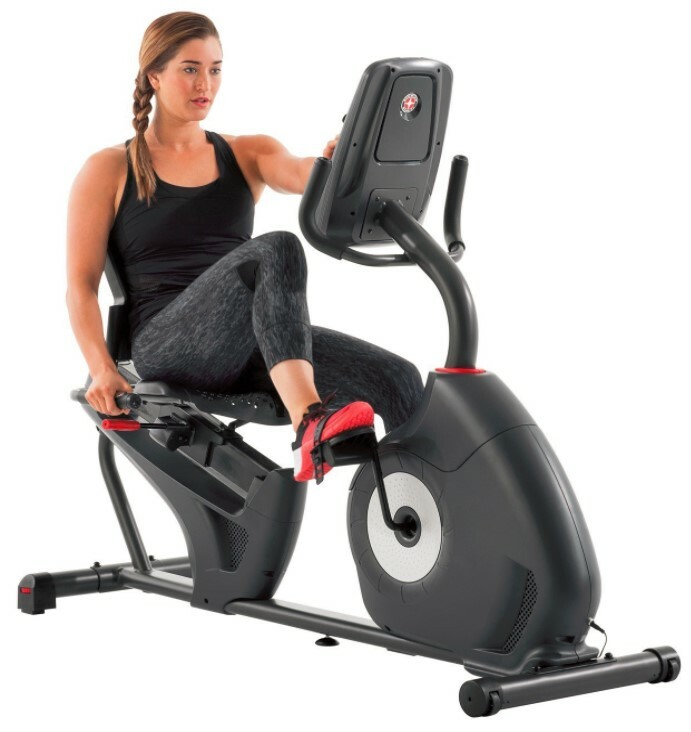 Additionally, the LCD Display has a tablet or phone holder so you can entertain yourself as you exercise. For your convenience, there are control keys applied to the handrails so you can start, stop and adjust your speed. Do you need to conserve space? The SF-T4400 folds away for easy storage. When it’s time to take it out again, the Soft Drop System lets you safely and gently unfold it without it slamming down. Additionally, the transportation wheels make it easy to move around. The treadmill’s frame is backed by a three-year warranty. As for the other parts, they are only have a 90-day warranty. A few customer said that it didn’t last long. Click here to see the price of the Sunny Health & Fitness SF-T4400 Treadmill on Amazon. The Confidence Power Trac Pro 735W treadmill provides a decent workout for walkers and joggers in the comfort of their home. With a maximum speed of 6.2 MPH, they can burn fat, burn calories and lose weight. At only 55 pounds, TheConfidence Power Trac Pro 735W can support a weight capacity of up to 265 pounds. It features 12 different fitness programs. These different workout programs will vary your workout to keep you burning fat and calories. Another way you can add more intensity and variety to your workout is by adjusting the three-level incline included in this treadmill. An LCD display shows your workout data. You’ll see your time, speed, distance and calories burned. With the heart rate monitor, you can track your heart rate too. On the handlebars, there are controls to start, stop and adjust speed levels. It’s foldable, space-saving design and wheels allow you to easily store it or relocate it. 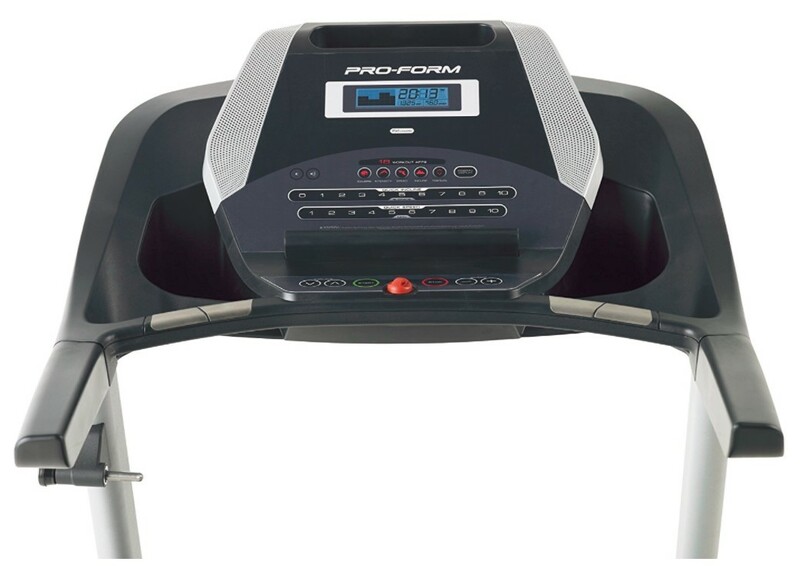 Confidence Power Trac Pro 735W comes on #3 among the best treadmill under 500. It is our least favourite treadmill and we only recommend it if you’re too short on budget. Supports Up To 265 Lbs. Some customers said it didn’t last long. 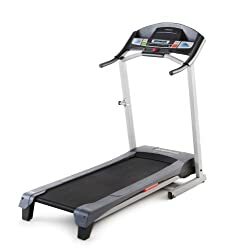 Click here to see the price of theConfidence Power Trac Pro 735W Treadmill on Amazon. Treadmill manufacturers create cheaper treadmills because they’re more likely to sell more of them. They know that there are lots of people looking for a best treadmill under 500. Getting a bargain, however, doesn’t necessarily mean you walk away with a well-made treadmill. Besides the low price, another good thing about an inexpensive treadmill is its space-saving design. Typically, they are compact and foldable, making it easier to store. Since manufacturers want to keep factory cost to a minimum, they don’t weigh as much as a high-end treadmill.